Last year we spent our summer vacation in Alaska. For a family that tends to choose nature over big cities, the trip was truly amazing and unforgettable. I always wanted to write something (sort of like a user review), or just post some photos, but never got to it until the other day when I talked about fee-free entrance days in the national parks. 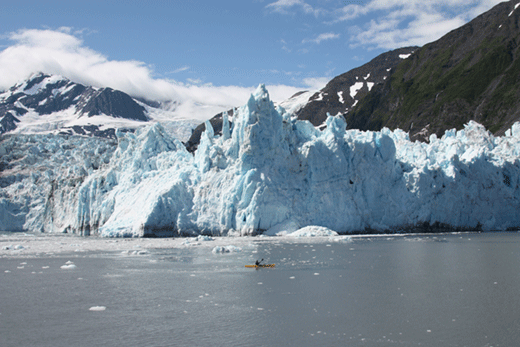 I realized that if you are thinking about visiting Alaska in 2012, the time to start planning is about now. Alaska is a busy and expensive place to visit during peak travel seasons, so it pays off to get a head start. In the next few posts I’ll talk more about the trip, and along the way provide my personal reviews, a few tips and of course lots of pictures. Our itinerary, although not perfect, worked out quite well for us. As a family of six (grandparents, two kids, wife and me), we felt that we experienced Alaska as much as we could, without feeling exhausted or rushed. We certainly missed some “adventurous” activities, but no regrets whatsoever. Now off to trip planning.